Great Athletes Think, Train and Thrive (Rodale, 2014). He is the founder of Good to Gold Medal, PLLC, a leading coaching and consulting practice. Though his practice is located in Phoenix, Arizona, Dr. Afremow provides individual and team mental training services across the globe to athletes, teams, and coaches in all sports, as well as to parents, business professionals, and all others engaged in highly demanding endeavours. He is passionate about helping others achieve peak performance and personal excellence, and reach their true potential. IME magazine named Dean Karnazes as one of the "Top 100 Most Influential People in the World." Men's Fitness hailed him as one of the fittest men on the planet. Dean has pushed his body and mind to inconceivable limits. Among his many accomplishments, he has run 350 continuous miles, foregoing sleep for three nights. He's run across Death Valley in 120 degree temperatures, and he's run a marathon to the South Pole in negative 40 degrees. Dean also ran 50 marathons, in all 50 US states, in 50 consecutive days, finishing with the NYC Marathon, which he ran in three hours flat. Beyond being a celebrated endurance athlete, Dean is also a philanthropist, bestselling author and accomplished businessman. Matt Fitzgerald is an acclaimed author, highly sought-after coach of runners and triathletes, and sports nutritionist of worldwide reputation. This website offers access to all of the resources that Matt has created in service to this mission, including Racing Weight and other books, custom training plans, and one-on-one nutrition coaching. psychology. Brown not only walks along side clients who want to manage inconvenient psychological symptoms, but also teaches individuals how to apply research-based strategiesto fine tune their brains and optimise life. by the American Board of Professional Psychology. Outside of his private practice, Brown is the psychologist for the Boston Marathon medical team and is on Runner’s World magazine’s scientific advisory board. Dr. Jonathan Fader is a licensed clinical psychologist. He is the team psychologist to the NY Mets baseball team. Dr. Fader writes a blog for Psychology Today entitled The New You. He maintains an active clinical practice in New York City. Dr. Fader is Bilingual in Spanish. Travis Macy is a speaker, author, coach, and professional endurance athlete. He is the author of The Ultra Mindset: An Endurance Champion’s 8 Core Principles for Success in Business, Sports, and Life,and he holds the record for Leadman, an epic endurance event consisting of a trail running marathon, 50-mile mountain bike race, Leadville 100 Mountain Bike Race, 10k road run, and Leadville 100 Run, all above 10,200′ in the Rocky Mountains. Travis lives with his wife and two young children in the mountains around Evergreen, Colorado. He was the mental coach for the 2013 USTA National Champion and has spoken and coached extensively to businesses, universities, and corporate athletes. Sarah Williams is the host of the Tough Girl Podcast. She’s currently training for her biggest physical and mental challenge: The Marathon des Sables – 6 marathons in 6 days across the Sahara desert. To lean more about Sarah visit her website www.toughgirlchallenges.com and check out her blog which is a finalist in the UK Blog Awards 2016. While serving as the Director of Mental Training for the St Louis Cardinals, Dr. Jason Selk helped the team win their first World Series in over 20 years, and in 2011 he assisted the Cardinals in the historic feat of winning their second World Championship in a six year period. Dr. Selk is a regular contributor to Forbes, INC, Success, Shape, and Self Magazine; ABC, CBS, ESPN, and NBC radio and television; and has been featured in USA Today, CNBC, and Men’s Health. Dr Selk’s second book, Executive Toughness, is a best-selling business book and his first book, 10-Minute Toughness, is on pace to be one of the best-selling sport psychology books of all time. His third book, Organize Tomorrow Today is now in bookstores across the country. Paul Miller is the Coordinator of the Nike+ Pace Team for the Bank of America Chicago Marathon. Having completed approximately 35 marathons himself and successfully pacing many times, Paul has been leading the largest marathon pace team in the world since 2007. He attributes his modest running successes to the support of his beautiful wife, Lindsie, twin boys Benjamin and Brandon and Golden Retriever Cal. Steve Cannon runs. I doubt he would actually call himself a runner though. He would probably refer to himself as more of an adventurer. He’s run more than 100 marathons, tamed 36-hour adventure races, failed and nearly died on the famed Yukon River Quest. In 2003 he Finished the 24 hour “Equalizer” run. In 2004, he rode his bike to the start line of the Deadwood Mickleson Trail Marathon in South Dakota…from Iowa. He’s completed 18 RAGBRAI’s, five Ride the Rockies and three times the Dirty Kanza 200. Ed Caesar is an author and feature writer. He has contributed to The New Yorker, The New York Times Magazine, The Atlantic, Outside, The Smithsonian Magazine, The Sunday Times Magazine and British GQ, and has reported from a wide range of countries including the Democratic Republic of Congo, Kosovo and Iran. He was once asked by Kevin Costner whether he was “anxious to die”. Caesar has won a number of awards for his journalism. Most recently, he was named Journalist of the Year for 2014 by the Foreign Press Association of London. Amy Morin is a licensed clinical social worker, psychotherapist, and a lecturer at Northeastern University. Her expertise in mental strength has attracted international attention. Her bestselling book, 13 Things Mentally Strong People Don’t Do, is being translated into more than 20 languages. Amy’s advice has been featured by a number of media outlets, including: Parenting, Time, Fast Company, Good Housekeeping, Elle, Business Insider, Cosmopolitan, Success, Oprah.com, Health, Fox News, US News & World Report, and The Washington Post. She has also provided on-camera interviews for Fox Business, Forbes, TheBlaze TV and an upcoming documentary with Red Bull. She’s a frequent guest on a variety of radio shows as well. 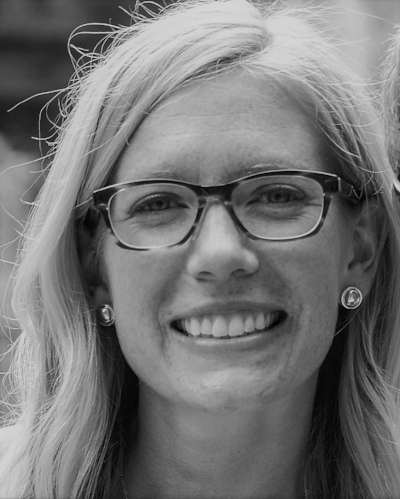 Amy serves as Verywell’s Parenting Teens Expert and Child Discipline Expert. She’s a regular contributor to Forbes, Inc., and Psychology Today. A sought after speaker, Amy loves to share the latest research on resilience and the best strategies for overcoming adversity and building mental muscle. LaRae was born and raised on a cattle ranch in Wyoming where she learned many of the survival skills she would need as an FBI agent. After twenty years as an undercover and counterintelligence agent, LaRae became the spokesperson for the FBI in Northern California for four years. Although the job description had changed, she used the same set of communication skills to present both a compelling message and positive image of the FBI. LaRae completed graduate studies at Arizona State University before joining the FBI. She has also completed graduate studies at San Francisco Theological Seminary. Dan has been a life long cyclist and swimmer. He turned to triathlon in 2005 and has not looked back.He is now a much sought after speaker, coach and author of Triathlon For Beginners(2012) and Triathlon: Winning at 70.3. How to Dominate the Middle Distance (2016). Through his coaching practice and training camps, Dan has seen the immense need for aligning mental strategies with physical training as this critical aspect of success is severely lacking for most athletes. Dan is a regular contributor to www.triathlon-hacks.com and is passionate about helping more people set outrageous goals, develop a plan and achieve them. Dr. Danelle Kabush has over a decade of experience working as certified sport psychology consultant with several national sport teams via the Canadian Sport Institute. With a private practice based in Victoria, BC, Danelle works locally and remotely with parents, individual athletes, teams and coaches to optimize mental preparation for performance and wellness in sport. In her spare time, Danelle enjoys blogging on topics related to motherhood, sport and performance psychology at danellekabush.com. Christie Jenkins is a world class athlete in 3 different sports – trampolining, beach volleyball and Crossfit. She speaks to groups of over 500 people, is a qualified life coach currently working with Tony Robbins Coaching, writes for a number of websites and magazines, has appeared on TV and is an experienced business strategy consultant. Her mission is to empower individuals and teams to win – in sport, in business, and in life. To inspire people to be tall poppies. To share the knowledge of how to be a champion and a leader. To counteract the belief that wanting to win is a negative thing because it means someone else has to lose. To spread the word to the world that winning means not just being the best, but also being your best. Karl ‘SpeedGoat’ Meltzer, a legend in the ultramarathon world and achieved the title of ‘Winningest 100-mile runner on the earth’, having won 38x 100 mile races. Karl describes his most recent challenge: Thru-hiking the Appalachian Trail in record time as: “Not only man versus clock, but man versus nature … and man versus self”. Karl is also an ultramarathon coach and he is sharing with Rundamentalists followers his mental toughness secrets to help the ‘Average Joe or Joanne’ runner achieve their goals. Dr. Jim Taylor is an adjunct professor at the University of San Francisco. His specialty is the psychology of business, sport, and parenting. Jim has been a consultant to and has provided individual and group training to executives and businesses. Jim has been a consultant to the United States and Japanese Ski Teams, the United States Tennis Association, and USA Triathlon, has been an invited speaker by the Olympic committees of the U.S., Spain, France, and Poland. He has worked with professional and Olympic athletes in tennis, skiing, triathlon, football, baseball, cycling, golf, and many other sports. A former U.S. top-20 ranked alpine ski racer who competed internationally, Jim is certified tennis teaching professional, a 2nd degree black belt and certified instructor in karate, a marathon runner, and an Ironman triathlete. Think you've got what it takes to be a Rundamentalist expert?